Like me, you surely now use an online portal to your bank account to manage your account and help keep it in the black. Companies should be no different. It is an obvious fact that centralising and consolidating bank accounts will enable companies to reduce costs and also have complete knowledge of their cash flow. Despite this, it seems that less than 20% of UK businesses have implemented a cash management solution across their entire business. The key reason cited for not using an EFT system is having multiple bank accounts and disparate systems across the whole business. If your organisation operates across a number of countries and have many bank accounts, you will certainly be facing cost problems, lack of control and possible fraud around your payments process. 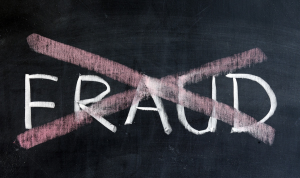 Fraud is a serious risk that companies face in this complex global business environment. In our 2013 survey of B4B (EFT for Infor SunSystems) clients, 52% had been concerned about fraud in their payment process prior to implementing B4B. However, a remarkable 87% of them were still unaware of the use of PGP (Pretty Good Privacy) Encryption as a tool within B4B. In a study by the Aberdeen Group, June 2008, nearly 1/3rd of companies had experienced a fraud in relation to payments. 56% of these had suffered a financial loss as a result of using a manual payments process. The stats add up. Surely makes sense to switch to an EFT solution, rather than rely on cheques? Remember, more and more companies are now not using nor accepting cheques and reducing the cost of every payment by a high 38%. Do you want to be the company that has Fred from the Post Room hacking into your bank account?! Read more on EFT and fraud in our white paper, “Electronic Payments: Evolution and Revolution”. Previous story Dirty Money – A reason to go contactless?